I feel blessed to have encountered many times with this well known person who is considered the God embodied in flesh. After our beloved Dr. Bhupen Hazarika’s sad news of demise in Mumbai reached Guwahati, we witnessed a movement of people in very large numbers. It is now when I have realized to a greater depth that Bhupen Dada was for the mass – but was of the same level of Srimanta Sankardev, Mahatma Gandhi, J F Kenedy or Indira Gandhi. I had heard the name of this exceptionally outstanding and notable person for the first time as a child, when my brother, Late Achyut Kr Thakuria, showed me the film “Ara Baator Sur” and told me about Bhupen Hazarika. 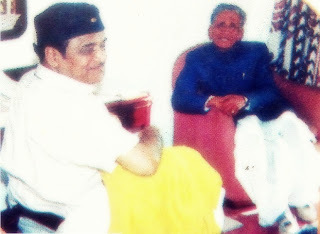 I was even fortunate enough as a child to meet Bhupen Da personally, when my father Late Pandit Dadhiram Thakuria took me for a ‘Bhupen Hazarika concert’ at Baghmara, in the Old Kamrup district of Assam. In 1968, when my husband Late Bhabananda Deka was working in Delhi, he and couple of his friends took great effort in introducing Assamese Language in the MIL Department of Delhi University. He was highly appreciated for his work by Bhupen dada. When G P Sippy came to Guwahati few years back, I had the privilege of sitting in the same row of Dr. Bhupen Hazarika in a musical concert and watching Lata Mangeshkar and other artists from Mumbai (then Bombay) perform. In the same day, my son’s biographical book on Dr. Bhupen Hazarika ‘Onyo Ek Jajabor, Dr. Bhupen Hazarika’ was also inaugurated in the same occasion by GP Sippy. After reading my book for children ‘Padmashree Nalini Bala Devi’, Bhupen dada, in his ‘golden pad’ sent me a review which I have kept in safety till now. The review was also published in the book. While his stay in Kolkata (then Calcutta), he used to take my home-made ‘black soda’ in small bottles from me. I had the opportunity of attending the Asom Sahitya Sabha in Rongpur, Assam, as a delegate with writer Arpana Banikya. 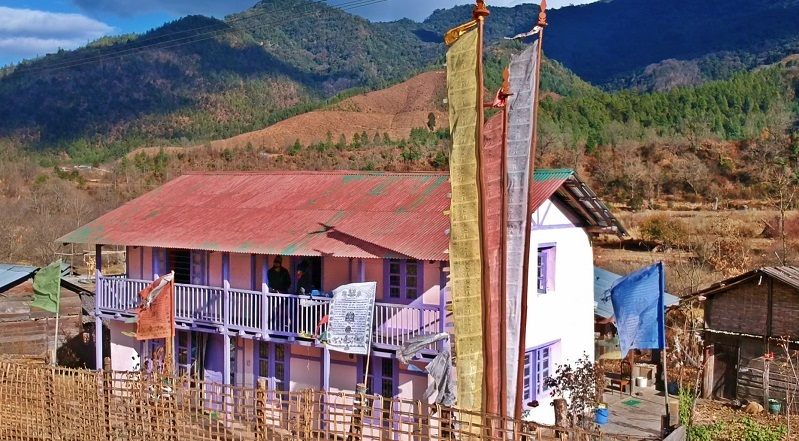 That was where I met writer Khuswant Singh for the first time along with Dr. Bhupen Hazarika. I remember, even when my youngest son had to go to Delhi for an eye operation, Bhupen Dada was the one to book a seat for him in the Batra Hospital. And throughout the time my two sons and my husband were in Delhi, Bhupen dada constantly been in touch to check the updates regarding the operation and saw to it that everything went well. That was the time when he would often meet my husband to talk about the developments of Assam. 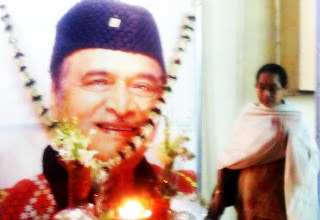 One can never forget Bhupen Hazarika. May his soul rest in ataraxis, and this is all I ask from God today. I feel so sad today fro the maestro.